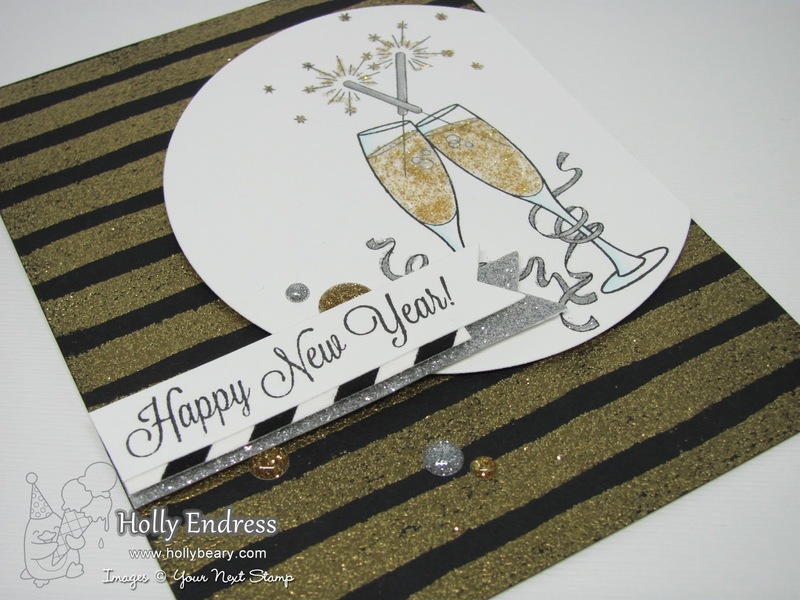 Hollybeary Creations : Happy New Year!! 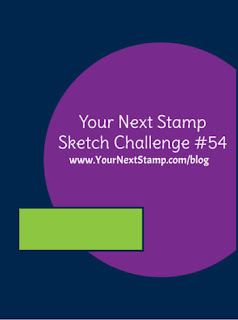 There's still time to join us at Your Next Stamp for Challenge #54. We have another Great Sketch and Color Combo to choose from or you can join them together for your project. This week I'm using the Sketch! 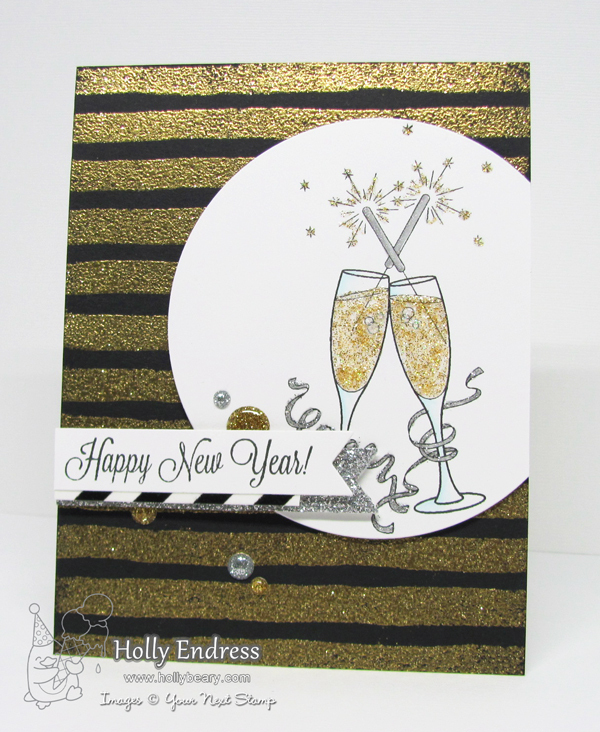 I created a Sparkly New Year card using the fun Clink Stamp Set. I started by creating a Sparkly background using a VersaMarker and some Gold Glitter Embossing Powder from Nuvo. You could use some tape to mask off your stripes if you wanted even lines. Then I stamped the image onto a piece of White card stock using the Black Olive Ink from YNS. I used the Circle dies to create the Circle and then I added some Color with a few BG Copic Markers and some Nuvo drops in Silver and Gold. I colored the ribbon and the sparkles with a Silver Wink of Stella Pen. I adhered the image to the card with some foam tape and then I stamped the sentiment onto a piece of White and die cut it using the Fishtail/Banner One Die set. I also die cut a few pieces of Patter paper and added them under the sentiment banner. 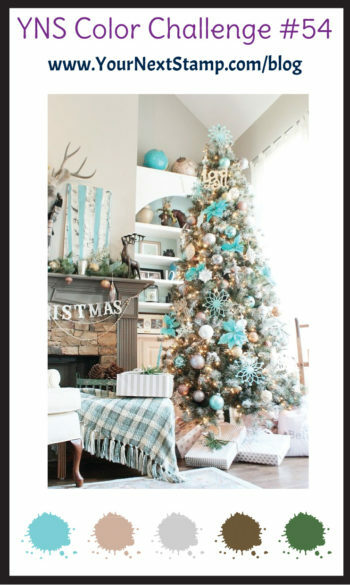 I wanted a little more sparkle so I added some Gumdrops in Silver Tinsel and Gold Nugget. 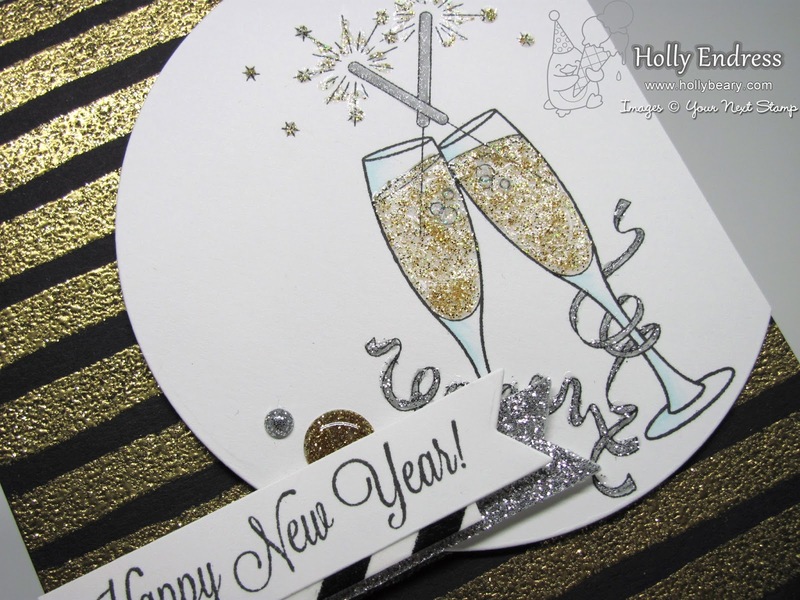 It was a bit tricky photographing this card to show the sparkle. The Linky will close on Thursday Jan. 5th at 12am. 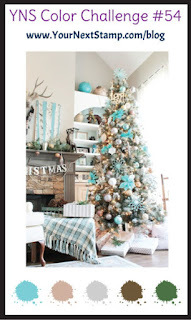 Head over to the YNS blog for more inspiration using this week's Challenge.